You are here: Home / Marketing Tips / Have You Heard of the Free Digital Marketing Platform PromoBoxx? Promoboxx is a free digital marketing platform available to retailers and sponsored 100% by the brand(s) they sell. 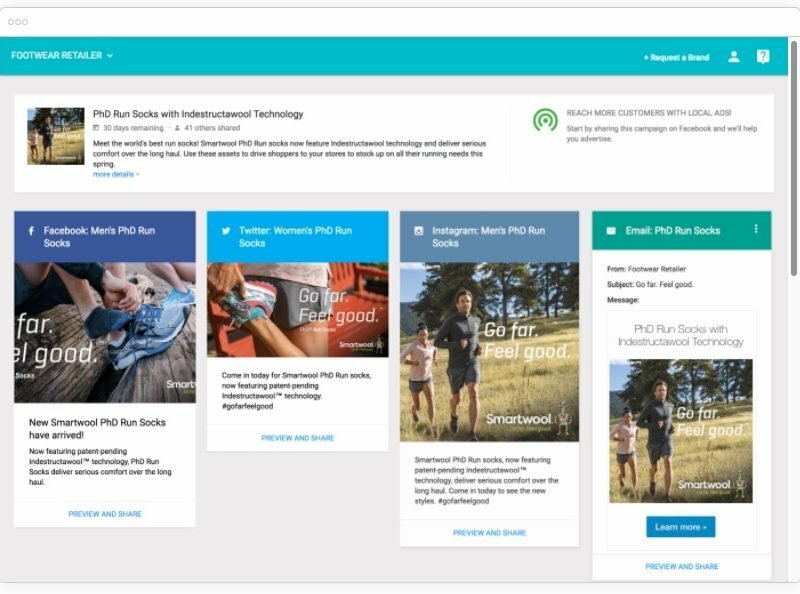 You, as a specialty retailer, can use Promoboxx to access, customize and share brand content to any of the digital channels you represent your business on (i.e: Facebook, Twitter, Instagram, Email, Website & More!) I think Promoboxx is a great resource that every single ski, bike and outdoor shop should be using. Participating brands create content based off of their national advertising campaigns. Promoboxx co-brands the content specific to each local retailer to make it ready to post at the click of the mouse. Additionally, you can customize content further before posting, as well. Content is available for specific periods of time that correlate with the brands marketing schedule to enable you to deliver the appropriate message to your customer at the appropriate time. No need to make your own marketing calendar or set reminders – you’ll get an email from this free digital marketing platform when new content is available to share! As content becomes available, all you have to do is login to Promoboxx and schedule the content out over several weeks. Some brands, like Arcteryx and The North Face, can be set up to automatically share to your social media accounts. 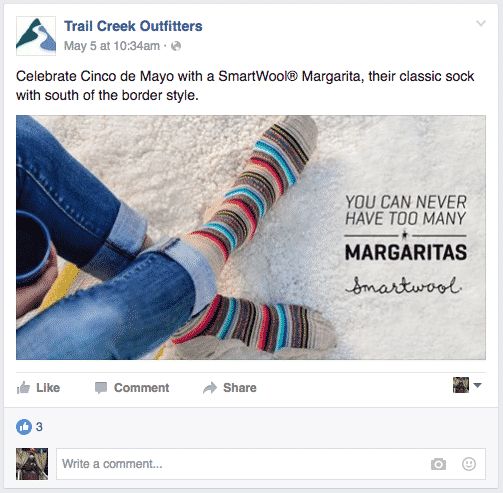 Others, like Smartwool, require you to choose which campaigns you would like to share and schedule them. Either way, it’s way easier than creating the content yourself and remembering to post it…and it’s super high quality content…that’s FREE. Outdoor and Ski industry brands that participate in Promoboxx are Arcteryx, The North Face, Salomon, Patagonia, Smartwool and Osprey. Specialized, Shimano and Trek participate for the bike industry. Many other brands participate too. Do you carry running, fitness or tennis in the summer? If so, you’re in luck – Balega, New Balance and Mizuno participate too. Depending on the brands you carry, you could share an entire weeks worth of content all year long, without ever having to create any of it yourself. Read this great Smartwool Interview to learn more about this great resource. Also, every-so-often a brand will offer to cover the cost of a paid ad using the content they provide. Smartwool is one of the brands that offers this great option. The offer is usually only available to a limited number of people (the first 50 to reply or login and set up the ad). But it is not difficult to achieve if you generally keep an eye on your email throughout the day. I use Promoboxx for several of my clients in addition to other marketing initiatives. Often I find greater engagement from the brand-sponsored content delivered via Promoboxx than in-house generated content. This is the best deal going for small businesses with little or no marketing budgets like ski shops, bike shops and outdoor shops. So what are you waiting for? Dig out that last email you got from Promoboxx and sign up! Can’t find the email? Contact your sales rep for any of the brands I mentioned above. They should be able to get you a link to gain access. Please note: I am in no way affiliated or receive any funds from Promoboxx. I just use this free digital marketing platform for my customers and love it! Promoboxx makes my job easy. Next Post: Ski Business Owners: Which Little Pig Are You?